Older Americans, it’s time to celebrate your age! 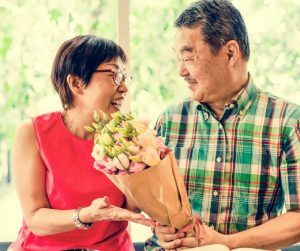 May is Older American’s Month and this year, the Administration for Community Living (ACL) wants to celebrate what getting older looks like today. The theme, Age Out Loud, gives a new voice to older American adults who are working longer, trying new things, and engaging in their communities. They’re taking charge, striving for wellness, focusing on independence, and advocating for themselves and others. At FirstLight Home Care we take pride in celebrating Older American’s Month and the fact that we are all getting older. Actually, we celebrate aging every day. For us, our caregivers, and the amazing families we support, we celebrate aging by allowing it to be a time for curiosity, exploration and an opportunity to do the things we could only dream about in our younger days. How do you celebrate growing older and Older American’s Month? Join in the conversation on Facebook as we celebrate Older American’s Month throughout the month.